The transverse vibration test is the only practical way to establish safe fastener specifications. What happens when fasteners become loose and how to prevent it? Fasteners self-loosening is the result of a combination of causes. Materials relaxation and embedding reduce the preload in bolted joints, in turn allowing vibration to initiate repeated transverse movement in the joint. 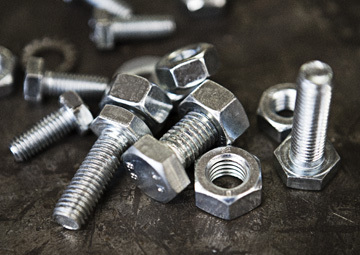 Fasteners will come loose and fail, leading to equipment failures and dramatic accidents. Engineers must specify at the design stage fasteners that will preserve enough preload throughout the lifetime of the joint. The Junker vibration test has become the standard for testing the security of fasteners and assemblies in real service conditions and compare their resistance to vibration. A modern fastener vibration and torque test bench can provide a detailed dynamic analysis of all aspects of fastener performance. Discover what causes fasteners to become loose and how the transverse vibration test can help evaluate fasteners’ resistance to vibration. The Junker vibration test allows to compare fasteners’ resistance to vibration.